Editor’s Note: An example of how graph databases detect events to help predict an outcome — AW. Unlike most other ways of displaying data, graphs are designed to express relatedness. Graph databases can uncover patterns that are difficult to detect when using traditional representations such as tables. An increasing number of companies are using graph databases to solve a multitude of connected data problems, including fraud detection. First-party fraud involves fraudsters who apply for credit cards, loans, overdrafts, and unsecured banking credit lines with no intention of paying any of them back. It is a serious problem for banking institutions. American banks lose tens of billions of dollars every year to first-party fraud, which is estimated to account for as much as one-quarter or more of total consumer credit charge-offs in the United States. It is further estimated that 10-20 percent of unsecured bad debt at leading US and European banks is misclassified and is actually first-party fraud. The surprising magnitude of these losses is likely the result of two factors. The first is that first-party fraud is extremely difficult to detect. Fraudsters behave much like legitimate customers do, until the moment the fraudsters “bust out,” cleaning out all their accounts and promptly disappearing. A second factor—which will also be explored later in greater detail—is the exponential nature of the relationship between the number of participants in the fraud ring and the overall dollar value controlled by the operation. This connected explosion is a feature often exploited by organized crime. However, while this characteristic makes these schemes potentially very damaging, it also renders them particularly susceptible to graph-based methods of fraud detection. A group of two or more people organize into a fraud ring. The ring shares a subset of legitimate contact information, for example, phone numbers and addresses, combining them to create a number of synthetic identities. Ring members open accounts using these synthetic identities. New accounts are added to the original ones: unsecured credit lines, credit cards, overdraft protection, personal loans, and so on. The accounts are used normally, with regular purchases and timely payments. Banks increase the revolving credit lines over time due to the observed responsible credit behavior. One day, the ring “busts out,” coordinating the members’ activity, maxing out all of the ring’s credit lines, and disappearing. Sometimes fraudsters will go a step further and bring all of their balances to zero using fake checks immediately before the prior step, doubling the damage. Collections processes ensue, but agents are never able to reach the fraudster. The uncollectible debt is written off. Sharing only a phone number and address (two pieces of data), they can combine these to create 22 = 4 synthetic identities with fake names as described in Diagram 1 below. Diagram 1 shows the resulting fraud ring, with 4–5 accounts for each synthetic identity, totaling 18 total accounts. Assuming an average of $4K in credit exposure per account, the bank’s loss could be as high as $72K. As in the process outlined above, the phone numbers are dropped after the bust-out, and when the investigators come to check out these addresses, both Tony Bee and Paul Fabre (the fraudsters, who really live there) deny ever knowing John Smith, Frank Vero, Mike Grat, or Vincent Pourcent. Catching fraud rings and stopping them before they cause damage is a challenge. One reason for this is that traditional methods of fraud detection are either not geared to look for the right thing: in this case, the rings created by shared identifiers. Standard instruments—such as a deviation from normal purchasing patterns—use discrete data and not connections. Discrete methods are useful for catching fraudsters acting alone, but they fall short in their ability to detect rings. Furthermore, many such methods are prone to false positives, which creates undesired side effects in customer satisfaction and lost revenue opportunity. It starts with simple discrete methods (at the left) and progresses to more elaborate “big picture” types of analysis. 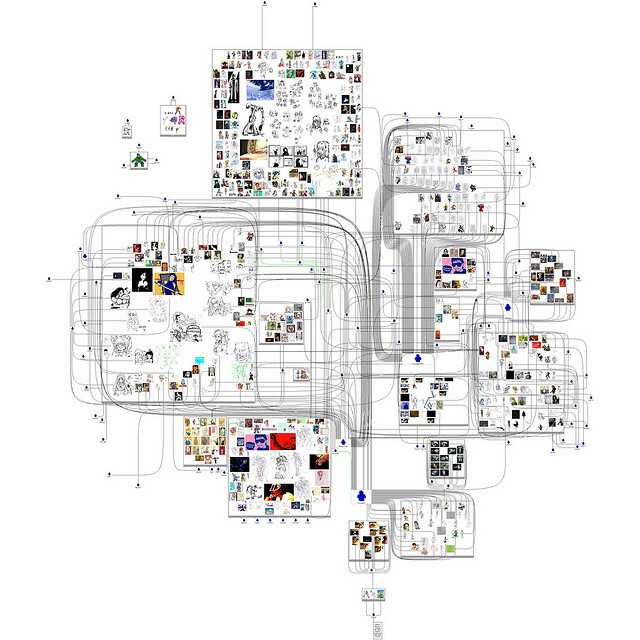 The rightmost layer, “Entity Link Analysis,” utilizes connected data to detect organized fraud. As will be shown in the following sections, collusion of the type described above can be very easily uncovered—with an extremely high probability of accuracy—using a graph database to carry out entity link analysis at key points in the customer life cycle. A ring of n people (n≥2) sharing m elements of data (such as name, date of birth, phone number, address, SSN, etc.) 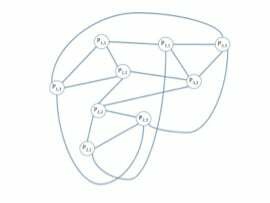 can create up to nm synthetic identities, where each synthetic identity (represented as a node) is linked to m × (n-1) other nodes, for a total of (nm × m × (n-1)) / 2 relationships. Likewise, four people can control 16 identities and so on. The potential loss in a ten-person fraud bust-out is $1.5M, assuming 100 false identities and three financial instruments per identity, each with a $5K credit limit. Uncovering rings with traditional relational database technologies requires modeling the graph above as a set of tables and columns and then carrying out a series of complex joins and self-joins. Such queries are incredibly complex to build and expensive to run. Scaling them in a way that supports real-time access poses significant technical challenges, with performance becoming exponentially worse not only as the size of the ring increases but also as the total data set grows. Graph databases have emerged as an ideal tool for overcoming these hurdles. Languages such as Cypher provide a simple semantic for detecting rings in the graph, navigating connections in memory and in real time. At the time the account is created. As soon as a credit balance threshold is hit. When a check is bounced. 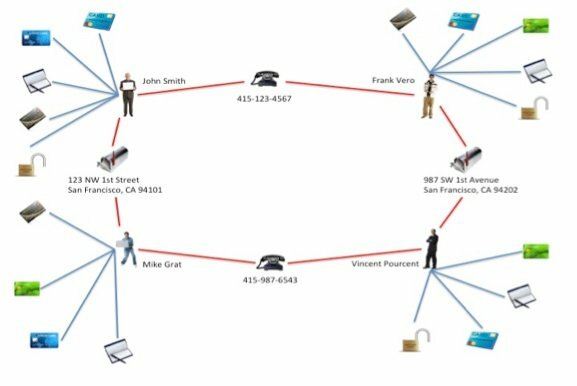 Real-time graph traversals tied to the right kinds of events can help banks identify probable fraud rings: during or even before the bust-out occurs. Sophisticated criminals have learned to attack systems where they are weak. Traditional technologies, while still suitable and necessary for certain types of prevention, are not designed to detect elaborate fraud rings. This is where graph databases can add value. Uncovering fraud rings is an important part of any fraud detection strategy. Connected analysis using graph databases is a useful technique for uncovering rings: not only after the fact but also in real time. 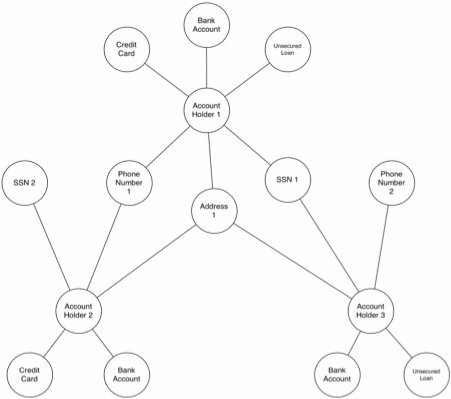 An increasing number of companies are using graph databases to solve a variety of connected data problems, including fraud detection. Philip Rathle is vice president of products for Neo4j. Neo4j is a leading graph database, with a ten-year history of 24×7 production deployments. Gorka Sadowski is founder and CEO of akalak, which provides technology and cybersecurity solutions and services.